When I was a child, I’d never grown up around too many believers in Messiah Yeshua (Jesus) that wore much of anything special. For the most part people would dress modestly! But there was really nothing all that set apart. I do however remember running across people from various other religious backgrounds wearing special clothing. I remember my middle school years having a private Spanish tutor going into 9th grade. My one on one Spanish tutor wore a hijab. I’d see other Islamic friends and associates walking around in burkas. Sometimes, I’d see Orthodox Jews running around with strange all linen home sewn outfits with little kippas on their heads. On other occasions, I’d see Hindu friends and associates dressed in luxurious robes with a bindi (red dot, or jewel) in the center of their foreheads. I never really knew what to make of any of this. As I grew older and wiser through the years, I began to take an interest in these religious customs much more, with a fervent desire to understand. I’ve grown up Christian most of my life. The MOST I may have seen in congregations, depending on which ones I speak of, is women all wearing dresses, men always coming to our congregation services dressed super fancy one day out of the week, and then everyone leaving and typically forgetting much of what we were taught. Then I hit college. After my first year of college, being in Delaware (out of state to be exact), I came home back to Virginia. My family had moved to a new area, and I was about to hit my first culture shock. I began to form friendships with many “Messianics”, Hebrew Roots, Torah Pursuant, Netzarim. Personally, I’ve never been one for labels too much, but to make things simple for the audience reading, I choose to add some sort of labels. First came the debating. And just like everyone, I sure did think I knew EVERYTHING! This really humbles me when I talk to people that think they know everything now! I know where I started. Despite my debating, I’d gone to a few Messianic Congregations here and there. For the first time, I’d seen believers in Messiah Yeshua wearing something “extra” on top of doing stuff “differently”. Maybe this was YHWH’s first call to me in that faint voice telling me that one day I wouldn’t see these people so strange! But hey, despite embracing these groups, I still find US to be a peculiar people! Around 2010, I moved to South Carolina and then Georgia shortly following. Without getting into much detail, I’ll simply say that YHWH answers prayers. Upon making certain, very specific prayers, while also personally making daily changes in my life for the better, I was getting prayers answered quite frequently. This led up to me getting in touch with my biological father, my family on his side, and eventually moving RIGHT BACK to Virginia. During this time, I had this epiphany. It’s like EVERYTHING clicked! I knew what I was missing. And immediately, I converted to this Hebrew Roots stuff! Who would’ve guessed?! Now this leads me to the topic at hand, the Tallit- Prayer Shawls. Before I really get into this too much, I’d like to throw out the disclaimer that I personally do not own any of the above items. But I’ve run across so many people that wear them! What are they? What is their purpose? Do we HAVE to wear one? Did the Messiah wear one? The first place I learned the true biblical outline of Torah, what it meant, the ACTUAL context of Scripture from a Hebraic background that almost any true Jew would know, was at a home study group. In this setting, the group members were able to discuss, hash things out, midrash, debate in a friendly manner, ask questions, and really dig deep. This is something most mainstream congregations are missing. It’s usually one man standing at the pulpit, he preaches through the context he’s been taught in seminary (if that), and everyone in the audience says amen! In this home group, there were several women that wore these tallits. I’d meet more of these Torah people, and the women would dress weird. They’d wear these funny head coverings. It truly struck me as odd and peculiar. So here I go. ^This verse is referring directly to wearing tzitzits as a reminder forever to REMEMBER and DO ALL of the commands out of love for YHWH! In this case, the Tallit could serve as an outer garment on which the fringes could be worn. The original tallit probably resembled the “‘abayah,” or blanket, worn by the Bedouins for protection from sun and rain, and which has black stripes at the ends. The finer tallit, very likely, was similar in quality to the Roman pallium, and was worn only by distinguished men, rabbis, and scholars (B. B. 98a; Midrash Genesis Rabbah xxxvi. ; Midrash Exodus Rabbah xxvii.). 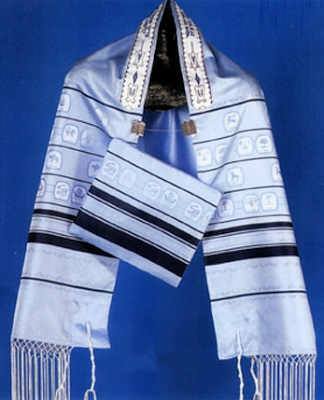 The tallit was sometimes worn partly doubled, and sometimes with the ends thrown over the shoulders (Talmud references Shab. 147a; Men. 41a). Where are some other places it’s worn?? It’s traditionally worn by men after marriage and, in modern times, by boys after they become Bar mitzvah at 13. Since the 1970s, in non-orthodox denominations of Judaism it may be worn by women. And speaking of marriage, a tallit is commonly spread over the canopy at the wedding ceremony. is what the English renders as “trumpet” many times throughout the scriptures. This is not to be confused with the metalic instrument of a “yobel” also called “trumpet” in English. H2986; the blast of a horn (from its continuous sound); specifically the signal of the silver trumpets; hence the instrument itself and the festival thus introduced: – jubile, ram’s horn, trumpet. 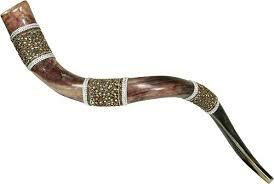 The Shofar is blown in three different types. The “teki’ah”, which is one long continuous burst. The “shevarim”, which is three Shorter blasts. And last, but not least, the “teruah” which is consisted of nine short bursts. The teki’ah is a triumphant sound, a sound of joy and of victory, and it is very easy to the ears. The latter two sounds, the shevarim and the teruah are sounds of tribulation, suffering, pain, and agony, represented by an almost crying like wail. It is said in Judaism that the sound of the teki’ah is not supposed to be sounded along with the other two in the same breath because of the differences in the representations of the sounds and contrast in what they represent. Triumph should not be associated with pain and agony. We all know the scriptures that speak of the different harbingers or messages that these differing sounds bring when concerning our Messiah and His return. The Shofar signals the Triumphant entry of the Messiah into this World to take over and reighn as the King of Kings, but the same Shofar also signals the harbingers of judgment to the wicked. We find both these concepts in the Brit-Chadasha(New Testament). In a moment, in the twinkling of an eye, at the LAST TRUMP: for the trumpet shall sound, and the dead shall be raised incorruptible, and we shall be changed.53 For this corruptible must put on incorruption, and this mortal must put on immortality. 54 So when this corruptible shall have put on incorruption, and this mortal shall have put on immortality, then shall be brought to pass the saying that is written, Death is swallowed up in victory. 55 O death, where is thy sting? O grave, where is thy victory? And then shall appear the sign of the Son of man in heaven: and then shall all the tribes of the earth mourn, and they shall see the Son of man coming in the clouds of heaven with power and great glory. 31 And he shall send his angels with a GREAT SOUND OF A TRUMPET, and they shall gather together his elect from the four winds, from one end of heaven to the other. And the seven angels which had the SEVEN TRUMPETS prepared themselves to sound. 7 The first angel sounded, and there followed hail and fire mingled with blood, and they were cast upon the earth: and the third part of trees was burnt up, and all green grass was burnt up. So we see here the contrast of the harbingers or signals that these different sounds bring, those of triumph, and those of pain and suffering, tribulation and despair. What can we learn from these contrasting sounds and the harbingers they bring and what can we learn d=from the nature of the sounding of the Shofar? We who have had experiences hearing these different sounds know that the Shofar can be both pleasing to the ears as well as almost unbearable to the ears, depending upon the sound that is “trumpeted”. This is allegorically symbolic of the Word of YHVH itself. To one the message may be recieved with gladness and thanksgiving, to another the Word may sound as nails on a chalkboard unbearable to hear. Again the word of the LORD came unto me, saying,2 Son of man, speak to the children of thy people, and say unto them, When I bring the sword upon a land, if the people of the land take a man of their coasts, and set him for their watchmen: 3 If when he seeth the sword come upon the land, he blow the trumpet, and warn the people; 4 Then whosoever heareth the sound of the trumpet, and taketh not warning; if the sword come, and take him away, his blood shall be upon his own head. 5 He heard the sound of the trumpet, and took not warning; his blood shall be upon him. But he that taketh warning shall deliver his soul. 6 But if the watchman see the sword come, and blow not the trumpet, and the people be not warned; if the sword come, and take anyperson from among them, he is taken away in his iniquity; but his blood will I require at the watchman’s hand.7 So thou, O son of man, I have set thee a watchman unto the house of Israel; therefore thou shalt hear the word at my mouth, and warn them from me. 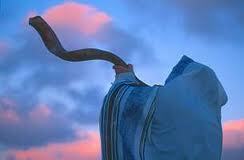 The Watchman simply blows the Shofar to warn the people, whether they take head to the warning or reject the warnings. It is every man’s own choice to whether or not he takes head, but the watchman is responsible if he sees danger and does not sound the Shofar. This is symbolic of the Word of YHVH. It is not the watchman’s duty to decide if the message is pleasing or not, he simply sends the sound of the Shofar, and it is up to the people to take head or to reject the sound, to choose the blessing of the curse. We find that the watchmen of Israel, who wake early and sound the alarms are not headed to, because the sound of the Shofar is not pleasing to the ear. Thus saith the LORD, Stand ye in the ways, and see, and ask for the old paths, where is the good way, and walk therein, and ye shall find rest for your souls. But they said, We will not walk therein. 17 Also I set watchmen over you, saying, Hearken to the sound of the trumpet. But they said, We will not hearken.18 Therefore hear, ye nations, and know, O congregation, what is among them. 19 Hear, O earth: behold, I will bring evil upon this people, even the fruit of their thoughts, because they have not hearkened unto my words, nor to my law, but rejected it. So what we learn from all this is that the sound of the Shofar(trumpet) can be pleasing to a person who is searching for the Word of Truth, but to the rebellious the sound of the Shofar can be unbearable and quite annoying. The sound of the SHofar to the Israelite who loves His Abba will hear the sound, take head to the warning and it will be an ending of Triumphant Victory, but to the rebellious the sound of the Shofar will be unbearable and only bring agony and pain. 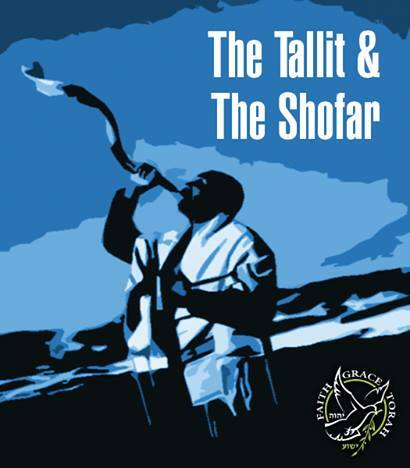 To all my Watchmen I say this; Warap yourselves in Tallit, and blow the Shofar whether they hear or whether they forbear, for they are a rebellious House. Do not fear those that can destroy the flesh, but fear Him who can put to death both the flesh and the soul. Stand on the walls of your city, and sound the alarms, and do not fear, it is YHVH Elohim that goes before you. Be faithful and do not waver, do not sleep, nor give your eyes rest until Jerusalem becomes a Praise throughout all the Earth. May YHVH Bless you and keep you, may he shine His Countenance upon you, may he bring you healing and give you Shalom, HaShem Yeshua, Amein Amein!